Cold sores, also known as fever blisters, are caused by a contagious virus called herpes simplex virus (HSV). There are two types of HSV; Type 1 and Type 2. Type 1 is the HSV that causes oral herpes or cold sores and infects about half the American population by the time they are in their 20s. HSV Type 2 usually affects the genital area. Furthermore, about 90% of adults, worldwide, test positive for the virus (HSV-1) that causes cold sores even though most do not exhibit symptoms of the infection. It is worthy of note that HSV Type 1 does not always cause sores and may even stay dormant permanently. However, others develop unsightly and painful cold sores that usually appear outside the mouth or around the lips. There is no cure for cold sores. However, cold sores normally go away on their own after a few weeks. Antiviral drugs could be administered to help hasten the healing from cold sores or to reduce the frequency of their outbreaks. Cold sores are most contagious when the blisters are visible. However, cold sores could also be transmitted without the presence of the oozing blisters. The virus can spread via direct contact with an infected person or through their saliva. As such, sharing eating utensils, razors, and towels could spread the cold sore virus. Factors that could increase the frequency of cold sore outbreaks include; exposure to direct sunlight, stress, hormonal changes, fever, fatigue, trauma to the skin, as well as skin disorders such as eczema and severe burns. Stage 1: Tingling and itching around the area the blister/sore is about to develop. This is usually around the lips. Stage 2: Blisters then form around the lips. Cold sores could also develop around the nose or cheeks. Stage 3: Oozing and crusting of the blisters as they emerge, burst, and crust over with time. The symptoms could vary depending on whether it is the first ever outbreak or a recurrence. Recurrences usually occur on the same spot as the first outbreak but are less severe. Strive to avoid skin to skin contacts with people especially when the blister is present. Avoid sharing items such as utensils, lip balms, and towels especially when the blisters are present. Ensure you keep your hands clean and thoroughly washed before touching yourself and people especially babies. You could also use antiviral drugs to help prevent an outbreak. Allicin, the bioactive compound present in garlic, has an antiviral action which effectively inhibits the virus that causes cold sores. In addition to that, the anti-inflammatory properties of garlic reduce swelling from the area and completely eradicates the problem. Take a garlic clove and cut it into 2 portions. Crush one portion and spread it over the sore. Let it work for 12-15 minutes and wipe off thereafter. You should reapply this remedy 4-5 times daily until the sores heal. This disinfecting solution is great for inhibiting the virus associated with a cold sore. When used on a regular basis, hydrogen peroxide, especially in the presence of a catalase inhibitor, may dry out the sores quite rapidly. For this remedy, soak a cotton ball in hydrogen peroxide and place it over the sores for some minutes. Make sure you use 3% hydrogen peroxide. Reapply after every few hours for effective results. Ice may help in reducing pain and swelling from the area. The cold temperature causes an instant numbing action which may relieve discomfort associated with the condition. Take a cube of ice and wrap it in a clean washcloth. Apply it to the sores for at least 12-15 minutes. Never apply ice directly to your skin. Do this remedy several times throughout the day to relieve symptoms of the sore. Lysine is an amino acid that has the ability to block arginine which is another amino acid. By doing so, Lysine helps in preventing the virus from replicating. Therefore, consuming lysine, for a period of time, may reduce sores effectively. A dose of 1000-1500 mg is helpful in preventing the outbreak. If you already have sores, you may take 1000 mg of L-Lysine thrice every day. Applying creams containing this ingredient is also known to be helpful. Another way to increase your lysine intake is to consume foods that contain it such as milk cheese, yogurt, soybeans, and meat. The strong antiviral and antimicrobial attributes of apple cider vinegar may make it effective to inhibit the virus and reduce a cold sore. Dip a Q-tip in some ACV and apply it to the problem area. 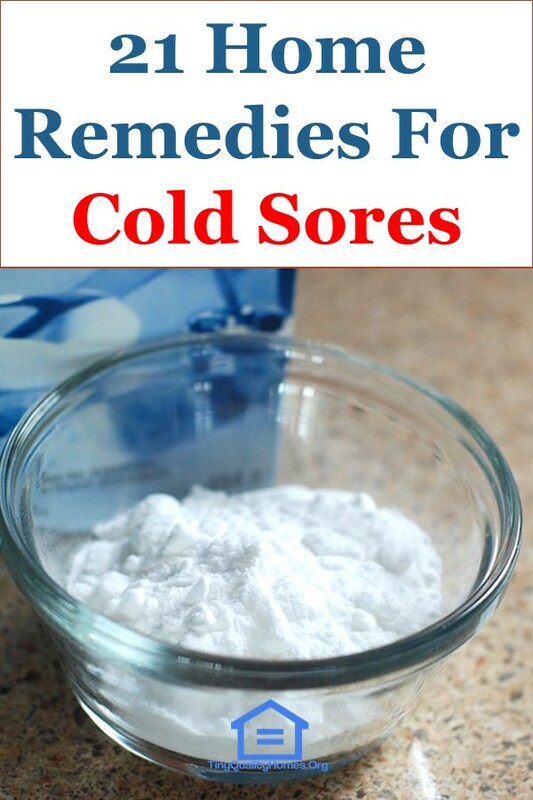 Repeat this remedy three times every day to dry out the sores naturally. Acetone-based nail polish remover is as effective as other remedies to alleviate cold sores. It may dry out a sore. Take a little amount of acetone nail polish remover in a cotton and apply it to the sores. Repeat it a few times throughout the day for several days until the sore heals. The powerful antiviral properties possessed by tea tree oil effectively inhibit the virus that causes cold sores. Dilute a small amount of the oil with water in the ratio 1:3. Apply it on the affected area with the help of a Q-tip. Do this at least 3 times in a day. Alternatively, mix equal parts of tea tree oil and olive oil plus a small amount of eucalyptus oil and apply it on the sores three times every day until the condition improves. The soothing action of aloe vera is great for dealing with skin problems including a cold sore. Aloe vera not only reduces discomfort but also helps in drying out the sore naturally. Aloe vera also helps in preventing bacterial infections. Due to these properties, it is widely used for treating conditions such as psoriasis and eczema. Take a fresh aloe vera leaf and cut it open. Then, scoop out a small amount of gel from it and spread it over the blisters. Do this 3-4 times in a day for several days. Cornstarch has been used for many years to alleviate symptoms of cold sores. A poultice made of this white powder is effective in soothing the inflammation as well as the pain associated with cold sores. Take some cornstarch in a bowl and mix it with a small amount of water to obtain a paste-like consistency. Take a small amount of this paste and cover the sores with it. Since the virus replicates in acidic conditions, it is not able to grow in an alkaline environment created by the cornstarch. In addition to having antiviral properties, echinacea also helps in strengthening the immune system which attacks the virus and inhibits their spread effectively. Take a very little amount of echinacea extract and apply it on the blisters. Alternatively, drink echinacea tea to boost your immunity. You can also take capsules of Echinacea. However, it is important to avoid using this remedy for too long. Therefore, do not extend its use over 8 weeks and always consult a doctor before taking the supplement or tincture. Witch hazel has astringent properties which may help in drying out the blisters rapidly. Furthermore, the anti-inflammatory action of the herb helps in reducing swelling and discomforts that come with cold sores. For this remedy, dip a clean cotton swab in a solution of witch hazel and dab it over the sores in a gentle way. Do this 1-2 times until the sore gets healed. If you have a sensitive skin, witch hazel may cause skin irritation. Therefore, it is recommended to do a patch test on a small area of skin near the elbow to know if it is suitable for your skin. Coconut oil soothes the skin and reduces discomfort in a quick manner. It contains triglycerides such as oleic and lauric acid which helps in killing the virus. Thus, it may greatly help in healing the sores. It also moisturizes the skin and reduces discomfort. Take some coconut oil on a Q-tip and apply it to the developing sores. Let it stay and reapply after a couple of hours. Cold milk is an age-old remedy for cold sores. It contains immunoglobulin which prevents the growth of the virus. Whole milk also contains a fat called monocaprin which inhibits the virus that causes the cold sores. Cold milk also provides a soothing effect to the area. Take cold whole milk and dip a cotton ball in it. Apply it to the area affected with the sores and let it stay for 10-12 minutes. Repeat this remedy 1-2 times a day. You should also drink a glass of cold whole milk to obtain lysine present in it to heal the sores faster. Licorice roots are widely used to treat cold sores because of its antiviral properties. The presence of an acid called glycyrrhizic, in licorice, inhibits the growth of the virus and treats the sore quickly. When combined with petroleum jelly, it helps in alleviating the cold sores in a fast and effective manner. Take some powdered licorice roots in a bowl and add a small amount of petroleum jelly to form a thick paste. Dab it on the cold sores and allow it to dry completely. Reapply the paste after every few hours. The pure extract of vanilla may help in dealing with cold sores. It contains alcohol in small amounts which disrupt the environment suitable for the growth of the virus. For this remedy, dip a Q-tip in vanilla extract and apply it to the affected area. Hold the Q-tip against the sores for some minutes and reapply 4-5 times in a day for quick action. The potent antiviral and antimicrobial properties of honey work well for treating a cold sore. Furthermore, honey’s anti-inflammatory nature helps in reducing swelling and pain. Altogether, honey soothes the skin while inhibiting the virus, thereby, treating the condition effectively. Clean your hands and take some honey on your fingertip. Dab it on the cold sore so that it is completely covered with it. Let it stay for 6-7 minutes and rinse thoroughly with water. Repeat this remedy twice every day. Salt, being an antimicrobial agent, helps in killing the virus that is responsible for cold sores. Take some sea salt on your fingertip and apply it directly on the sores. Hold it for half a minute and reapply 2-3 times in a day. Make sure you clean your finger thoroughly. Red wine contains a powerful antioxidant called resveratrol that helps in speeding the healing process. Red wine also reduces pain and swelling incredibly. Take a small amount of red wine and place it in a saucer. Let the liquid evaporate and dab the solidified component on the cold sore. 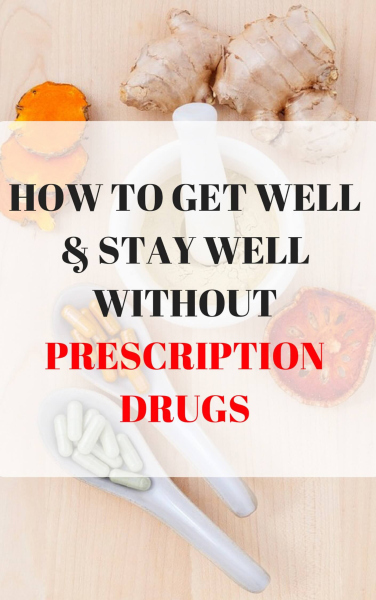 This will alleviate the condition and promote healing. Eucalyptus oil is another effective essential oil that has antiviral attributes. It can inhibit the virus and reduce the sores. Take some of the oil in a clean cotton swab and apply it to the sores. Reapply after every hour. A cool, damp tea bag can effectively reduce the outbreak. Tea, especially green tea, soothes the area and reduces the discomfort due to inflammation. Take a tea bag and dampen it by dipping it in water. Cool it and place it over the sore. Hold it for 10-12 minutes and repeat its application 3-4 times daily. Lemon balm is high in polyphenolic compounds that aids in killing the virus. The tannins present in lemon balm has antiviral action. Therefore, lemon balm is an excellent remedy for treating cold sores. Apply lemon balm essential oil on the cold sore several times throughout the day. You should also drink lemon balm tea 3-4 times daily until you see some improvement.